Sony has announced that The PlayRoom, its augmented-reality (AR) game that was demoed at E3 earlier this year, will come pre-loaded on all PlayStation 4 consoles. The game uses both the PlayStation Eye camera and DualShock 4 controller and highlights the two working together to create an interactive augmented-reality environment. As the PlayStation Eye camera is required to play the game, it is interesting that the company is bundling it with the console even though the camera will be sold separately. According to Sony, The PlayRoom follows a floating robot that can interact with you. The game can also interact with the DualShock 4 controller, making it seem like there are robots in the controller, which you can scatter with a shake of your hands. Players will be able to use smartphones, tablets or their PlayStation Vita to draw an object then flick it "into" the screen, transforming it into a 3D object that The PlayRoom robots can play with. Similar to Wii Sports, the AR game allow users to learn and become comfortable with how different PS4 devices interact with each other devices. 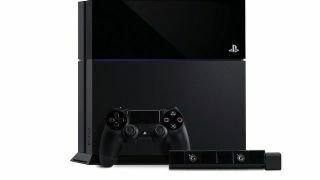 The PlayStation 4 is slated to go on sale later this year, but while you wait, you can check out our hands-on review.